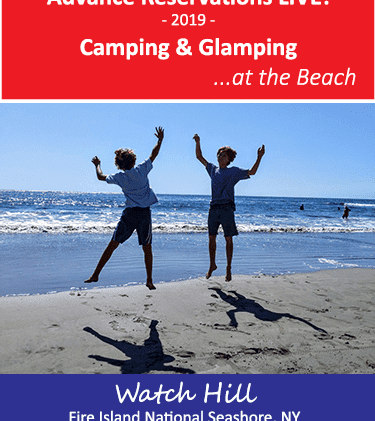 Watch Hill & Sailors Haven, Fire Island National Seashore, NY – 2019 Camping & Glamping reservations are LIVE NOW on our new booking platform on www.ReserveAmerica.com (there’s an app too). 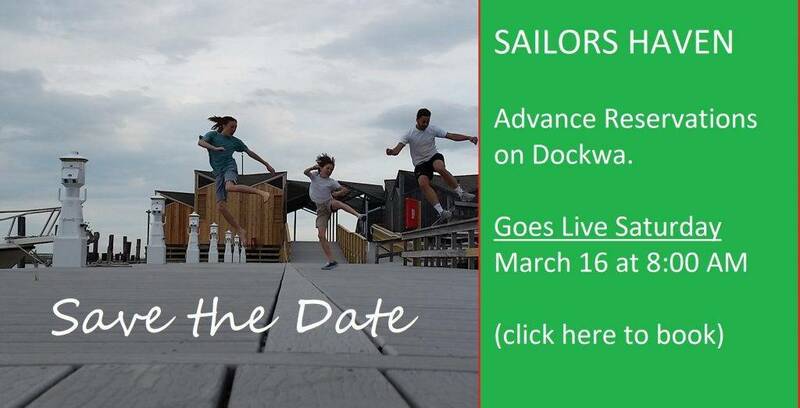 Booking for Watch Hill Marina and Sailors Haven Marina GO LIVE on Dockwa (get app here) this Saturday March 16, 8:00 A.M. — Save the Date! We are excited to announce BIG SAVINGS with both Marina Rate Reductions and Specials at both marinas and Weekly Rate Reductions for Camping & Glamping. 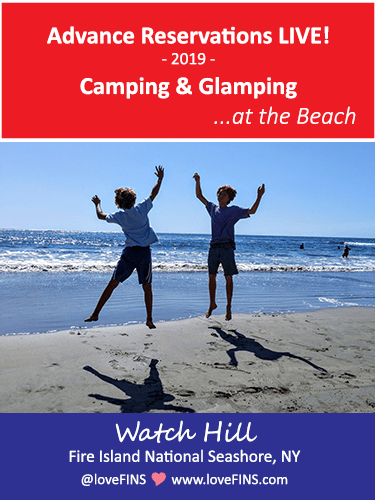 Hey Buddy!, I found this information for you: "2019 Advance Reservations Live for Camping/Glamping, Marinas Open Saturday March 16, 8:00AM". Here is the website link: https://www.lovefins.com/2019/03/13/2019-advance-reservations-live-for-camping-glamping-marinas-open-saturday-march-16-800am/. Thank you.